how do you sum up a 35 year friendship? On Saturday, I had the honour of being a bridesmaid in my friend’s wedding. Normally it’s just the maid-of-honour who gets to do a speech, but since we have been friends for so long, she asked me to say something. It was hard to know what to say since we’ve known each other for so long. Here are my notes but I didn’t always stay on track…. Shannon and I first met when we were 3 years old. My family moved in to the house across the street from her family. We shared so many memories in those early years. I’ll share a few with you…they won’t be chronological because I’m not sure of the years, but the memories are so clear! I don’t think there were many days where Shannon and I weren’t together. Before school — My brother and I would go over to her place before school. We’d play on the Atari or she’d play us a song that she had learned in piano lessons. At school we were together — We were in the same class from kindergarten to, I think, grade 3. As I said, I don’t quite remember what happened at what age. I want pause for a second and say how happy I am, and I know Shannon is too, that Mrs. Smith, our Grade 1 and Grade 2 teacher, is here today! After school and on weekends we were together too! There were days of playing Dukes of Hazard with the other kids in the neighbourhood. Or what ever other game we happened to make up that day. Our imaginations took us to so many places. I can remember riding our bikes pretending we were bus drivers. We’d ride all over the neighbourhood for hours! Until my Mom rang the bell (and I bet Shannon still remembers the number of rings) or until the lights came on. There was a phase when we obsessed about wanting braces. We’d use the foil wrappers from the cafeteria hot dogs and pretend that we had braces. Lucky me, I actually ended up with real ones. In grade 3 we made mail boxes out of construction paper and sat under our desks, only replying to people through the mail. That year we also choreographed a dance to Eye of the Tiger. Hey, Theo…do you have that one?? It was fun things like that that kept us close. One Christmas, Santa brought me a Cabbage Patch kid. I was ecstatic! I had been asking (probably begging) for one but my parents kept reminding me that Santa would bring some of the gifts on my list, but not everything. See, Cabbage Patch kids were a hot item that year; sold out in every store. When I was old enough to know the truth, I learned that Dave was my Santa. He managed to get his hands on a doll, called my parents to see if they wanted one for me. Thank you Dave! 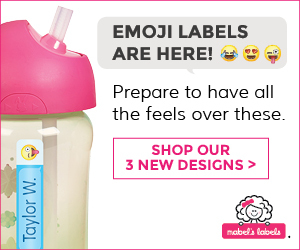 Now, Cabbage Patch kids come with a name, but you can change it when you adopt them. I would like you all to meet “Alicia Shannon”. She was named that because I liked the name Alicia…and Shannon because she’s my best friend. Our Cabbage Patch dolls have their own funny stories too…strange ones about utensils (completely an inside joke…but a fond memory)! Even after my family moved, we did our best to stay in contact. But as we made new friends, we just didn’t have as much time for each other. Our lives took different paths, but we would still come back together every once in a while and we’d share more good times. It didn’t matter how much time had passed since we last saw each other…we just seemed to pick up where we left off. I cherish this bond that we have…friends…no matter what. Her family is my family, and mine hers. When Shannon and I were little, my mom and dad would be invited over for “cookies”! They kept calling it that even when we got old enough to know that they were actually being invited over for a cold beer. Shannon, I’m sure your mom and my dad are are celebrating this amazing day sharing some “cookies”. And it truly has been an amazing day! Shannon, I’m so happy that you and Jake found each other! I can see how happy you are to be with Jake. Thank you Jake, for making Shannon so happy…keep it up! I would like to propose a toast to Shannon and Jake and to their new lives together! Cheers! The day was amazing! 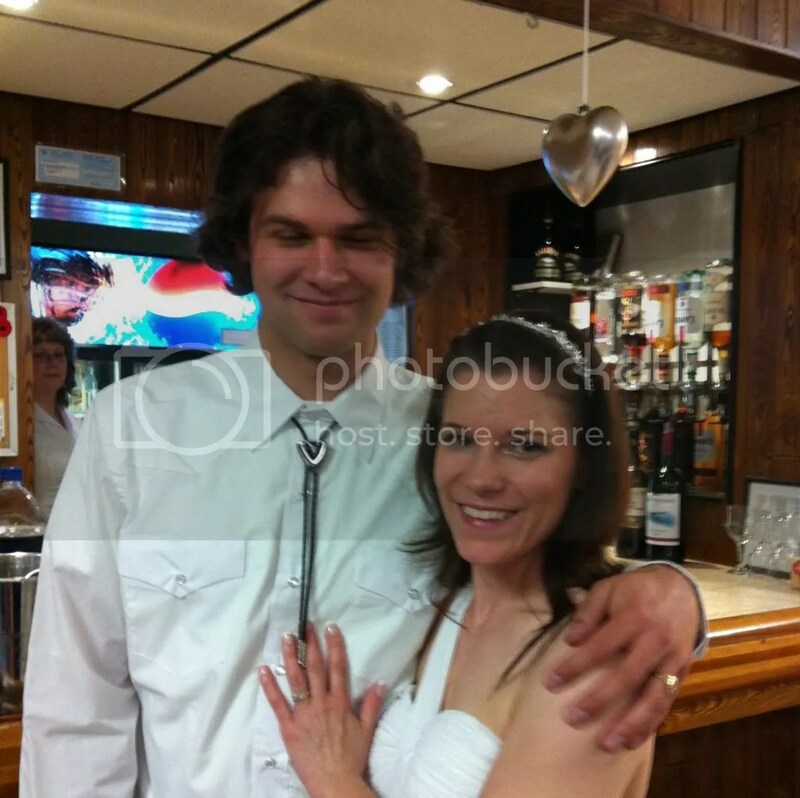 The ceremony had some great personal touches — he’s a cowboy and just before they kissed, he lassoed her. Very cute! We got to get the photos done outside since the weather was beautiful. The day ended with dinner and dancing until we ran out of steam. Congrats to Shannon and Jake!! I’m so excited for them both as they start this new chapter in their lives! Too often, I hear women complaining about what their husbands do or don’t do. I know that everything is just amplified due to social media, but it can be very overwhelming (especially if it’s the same people all the time). I know that life isn’t always perfect, but why bring the world into your problems? I was over joyed when I came across a post that linked back to the “Happy Wives Club“, a group of women who celebrate the love they have for their husbands. Perfect! This is exactly who I am…a Happy Wife. 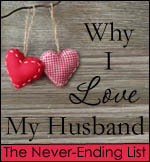 On Thursday’s they have a link-up where Happy Wives can share your happy posts about your your husband! Craig and I have been married since 2002 but we met in 1999. It’s very cliche, but we met in a bar. We were with our own group of friends, when one of his friends, who had had too much to drink, got to be a bit obnoxious. Craig apologized for his friends actions, and we got talking. We talked for a long time. We started making plans to see each other the next day, when he said, “You obviously like beer, do you like steak?” I surprised him by also liking football and chicken wings. The next day we went to the ROM, followed by a steak dinner at The Keg. After dinner, we watched the movie Message in a Bottle. 1 year, 2 months, 5 days later, he proposed to me using a message in a bottle. 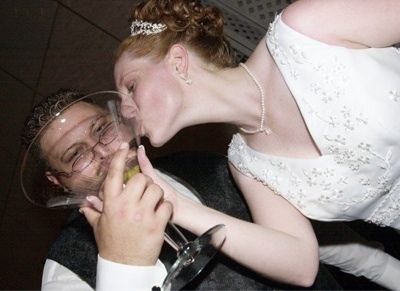 In the 10 years that we’ve been married, our love has only grown. He loves me just as I am and doesn’t want me to change. He listens to me…even if my ideas are crazy. We can pick on each other and know that the other is just joking. When he hugs me, everything else in the world doesn’t matter any more. What would you shout from the mountain tops about them?? 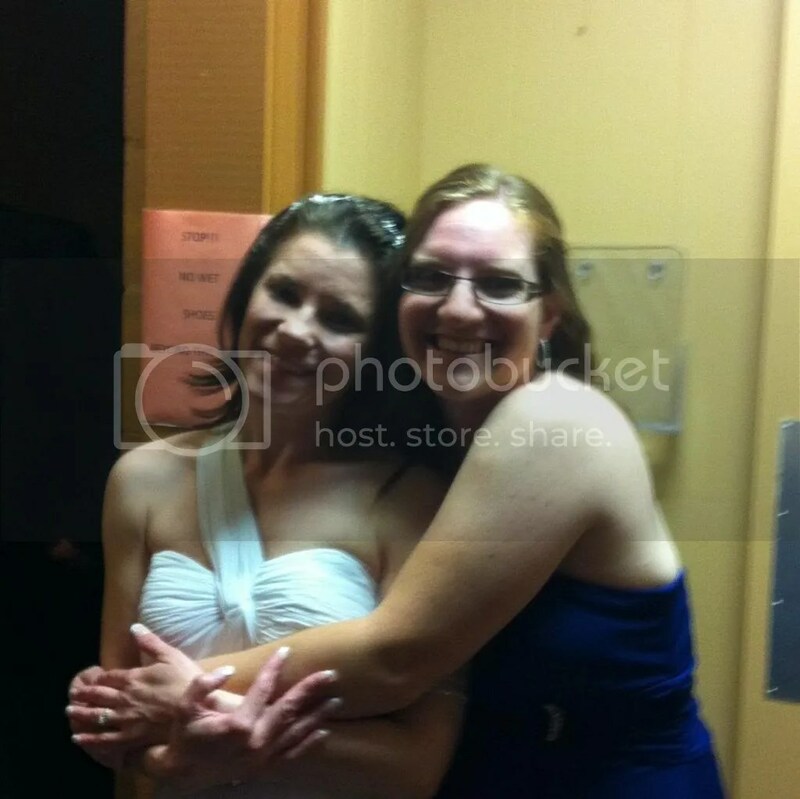 …I married my best friend! What an amazing 10 years it has been! I’m so glad that I’ve gotten to share it all with you! Craig and I will be celebrating our 10th Anniversary on Friday. Early in 2001, I sold my bass guitar and amp to buy Wendy an engagement ring. In 2007, I bought another bass guitar, but never got around to buying an amp. So, the bass just sat there unplayed. I came home from a Volunteer Builders board meeting tonight to see Wendy sitting on the porch. She handed me a card. It was for our 10th anniversary. Inside the card, she wrote “At the beginning of our lives together, you did something so amazing. Now it’s time for me to give it back…” She told em to go inside and look in the living room… and this was sitting there gleaming at me. See the whole story on his page here! Happy Anniversary!! I love you!! Share your Wordless Wednesday posts! !